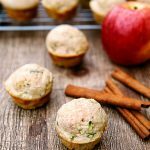 Great muffin recipes you’re going to LOVE! The solution? Make muffins at home and adapt your creations to suit your family’s personal taste and nutritional preferences. 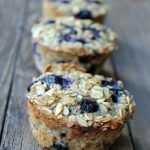 Even better, your muffin addiction can deliver a healthy start to your day or a low-fat finish to your evening. And we all know, sleep and food go hand in hand when it comes to overall health. We’ve found 10 muffin recipes that will make you feel good about indulging your muffin cravings, regardless of when you eat them. Go ahead, get baking! We have yet to meet a banana muffin we didn’t love. The key is to use dark brown sugar and over-ripe bananas, which are both naturally sweeter. To make them even healthier, ditch the butter and use non-fat greek yogurt (mega protein), which will also make the muffins deliciously moist. Egg whites instead of whole eggs will also reduce fat and calories. 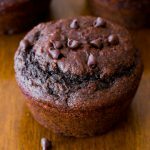 These chocolate miracle muffins are insanely easy to make – and super good for you. For starters, unsweetened applesauce replaces the butter and the recipe only calls for a half cup of sugar. Use mini chocolate chips to ensure you get chocolate in every bite – without any extra calories. 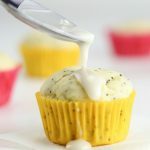 These healthy lemon poppy seed muffins are gluten-free and 100% dairy-free, low-sugar and packed with all the lemony deliciousness and crunchy poppy seeds your heart desires. 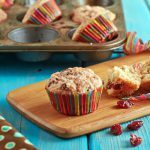 Muffins made with only one bowl? Love it! Wholesome oats mixed with fresh blueberries, ripe bananas, and non-fat greek yogurt to create a nutritious, low-fat blueberry and banana delicacy. If you’re feeling naughty, serve with a drizzle of maple syrup. The predominant flavor in these muffins is orange, but don’t skip on the lemon. It plays a crucial role in supporting the savory orangeness of the muffin. Dried tart cherries add a burst of tang, making these a prefect wake-me-up meal. Baked with the spicy goodness of cinnamon and pumpkin and paired with sweet cream cheese – it’s a match made in fall-baking-heaven. To enjoy them guilt free, sub in fat-free cream cheese and a low-calorie sugar substitute. These savory delights might remind you of the garlic cheese biscuits from Red Lobster – but they’re much healthier. Pair with soup, chili or even a salad. 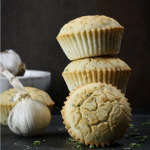 We think they’re the perfect muffin-solution for dinner. 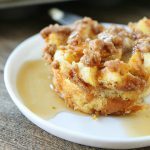 Who wouldn’t want French toast muffins for breakfast – every single day of the week? 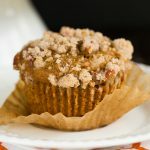 Especially when it comes with cinnamon streusel topping. This recipe is a little higher on the fat and calorie count, but sub in egg whites instead of whole eggs and a sugar substitute instead of white sugar. Everyone deserves a French toast muffin – or two – regardless of the occasion. You can put zucchini in just about anything and not only is it super good for you, it’s low in calories and makes muffins moist and delish. 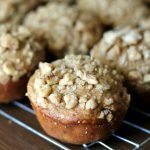 If your garden delivered an over-abundance of veggies this summer, it’s time to start baking muffins! Love peanut butter but hate the high fat? 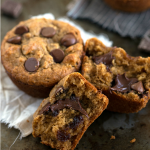 Get ready to fall in love with this muffin recipe. Under-bake them just a little and you’ll love the doughy, soft center. If you love food as much as you love sleep, you’re gone love the other recipes we’ve found for you. With all this awesomeness, you’ll have the best sleep diet ever in no time!